If you are well acquainted with Sofia’s world, both TV series and games, you may know that the Internet is not only filled with cats and cute little puppies, but also lots of puzzle games for you to play. As Sofia’s adventures at the castle continue, the world of puzzle games that feature her and her friends is also in continuous expansion. Thus, don’t be surprised to find out a newly developed game when you check our website. 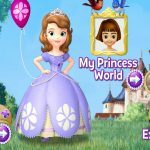 As a team that cares for Sofia the First fans, we promise you to upload all the new projects we spot on the Internet so you can have unlimited access to the latest Sofia’s adventures. Did you know that there are actually multiple types of puzzles around the web? As to not confuse you in any shape or form, let’s get things straight. When you and your friends get together to sort some puzzles, you usually play a so-called jigsaw puzzle. 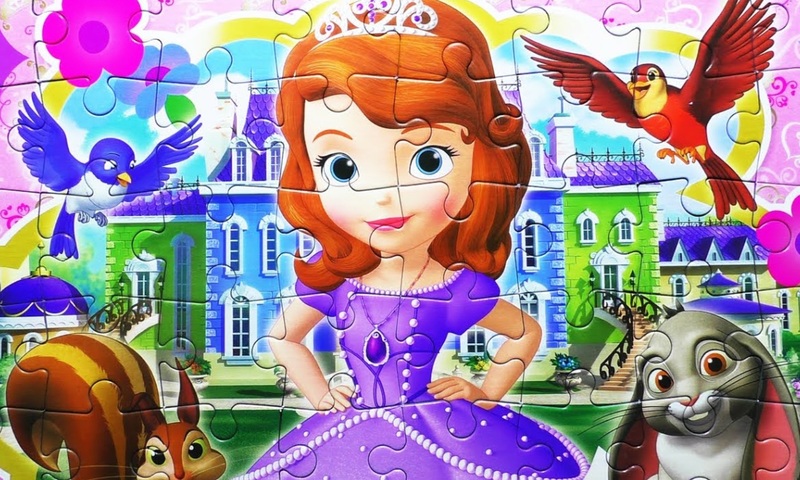 Our website also has quite a lot of jigsaw puzzle games, such as this one: Sofia the First Jigsaw Puzzle. While playing a jigsaw puzzle, don’t forget that you can change the puzzle size, at the very beginning of the game. That will directly affect the game’s difficulty. If you think that it’s difficult for you to solve a big puzzle, why don’t you consider changing to a smaller puzzle? In addition to usual jigsaw puzzles, we have brought you Sliding Puzzle games. The overall image of a sliding puzzle usually has a clear spot, which you have to click on, in order to move the puzzle piece there. Here’s one example of such game: Sofia the First Sliding Puzzle. It is considered to be more challenging to solve a sliding puzzle, but with a little practice, you can surely succeed. If you not, bring up some friends! The more minds are working on a problem, the more are the odds to solve it! The third type of puzzles you will encounter on our website are the Spin Puzzles. To solve a spin puzzle, you must click the puzzle pieces, until they take the right position. Some of them may be turned upside-down, and you have to make them stand in the correct place. Try to solve this Sofia the First Spin Puzzle to get a glimpse about the strategy! Good luck with that! All these games have one purpose – to keep you updated with fresh content, straight out of Enchancia. And as Enchancia is quite a vast world, you will have a lot of puzzles to solve. As you play the jigsaws we brought you, Sofia’s world will seem more and more vivid. You can pick any puzzle you want. Do you want to catch a glimpse of Princess Amber? Go on and play this Princess Amber Puzzle! Or maybe you prefer to solve a puzzle for the mischievous Prince James, Amber’s brother? Then you should try this one: Prince James Puzzle. Among the diversity we have on our website, there is also a place for Mr. Cedric – the evil sorcerer! Try to solve the Cedric Puzzle game as well! As you may know, if you watched the latest episodes of Sofia the First, has proved himself to be not that wicked as it may seem. Pick him, and continue the joy along with the most memorable characters of Enchancia. 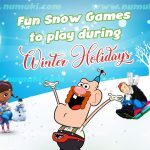 Have fun playing our puzzle games!